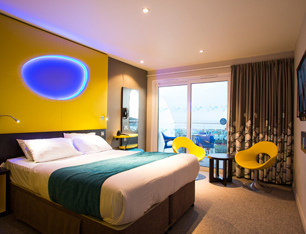 Everyone attending Rockaway Beach can opt to stay either in hotels or the private holiday chalets that surround the indoor stages of the Butlin's Resort in Bognor Regis. All accommodation is included in the ticket price. The apartments are subdivided into those that have a kitchen and lounge, and those that don’t. If you opt for an apartment with no kitchen, you can buy food from the various restaurants on site. The chalets are classed by Butlin's as standard, silver and gold and you can choose which class of apartment you want based on that. They are all available on a first-come, first served basis with those located closest to the arenas and the beach are made available first. So the sooner you book, the closer you will be. 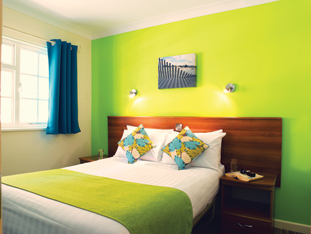 Check the Butlin's site for more information on the apartments and resort.